A French appeals court has absolved Continental Airlines of blame for an Air France Concorde crash in 2000 that killed 113 people and cleared a mechanic at the US airline of the charge of involuntary manslaughter. This is the legal end of a controversy that has not gone away. 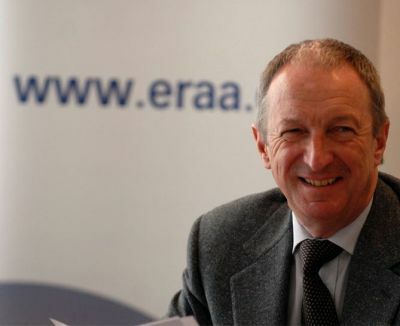 The UK’s largest airline, in terms of passenger numbers, and the most profitable, easyJet, has confirmed that it is now an all allocated seat air carrier. 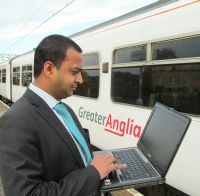 UK train operator Greater Anglia, whose franchise covers most of the area north east of London including Southend and Stansted airports, is working with The Cloud to introduce free wi-fi at 100 stations across the region. Independent Jordanian carrier Petra Airlines will inaugurate scheduled passenger services from next spring after the Jordanian Civil Aviation Authority approved its application to switch its activities from the charter to scheduled market. 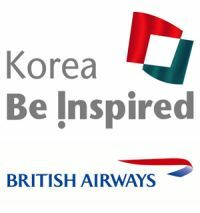 British Airways’ new route to Seoul started this Sunday (2 December). 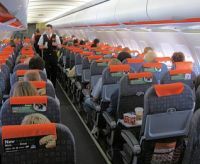 It coincided with a new in-flight entertainment enhancement designed to keep customers happy from the moment they take their seat. Chinatown New York is the latest location in the Wyndham Garden Hotels portfolio. The 106-room Wyndham Garden Chinatown is located in The Bowery towards the southern end of Manhattan Island and is a new construction. It joins sister properties Wyndham Garden Manhattan Chelsea West in the neighbourhood of the same name and the Wyndham Garden Long Island City Manhattan View across the East River in Queens. 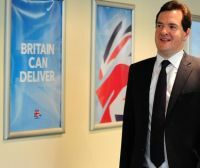 With the hours ticking away until UK Chancellor George Osborne delivers his Autumn Statement, the Airport Operators Association and A Fair Tax On Flying campaign have issued a joint statement detailing what might happen if he were to go ahead with plans to increase Air Passenger Duty (APD). Basically it suggests that instead of increasing revenue it will reduce this revenue source to the Government with serious knock-on effects. 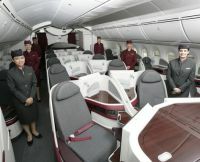 In what can only be described as a surprise move oneworld newcomer Qatar Airways announced last week that it would introduce flights between Athens and New York next year. JFK is likely to be the New York designated airport, the route operated by Boeing 787 aircraft. Lufthansa is continuing to roll out its FlyNet broadband internet service across its intercontinental network. 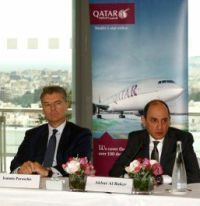 Two years after its launch the airline is now able to offer connectivity on 80 aircraft in the long haul fleet, thus making it the largest broadband enabled international operator in the world. From the middle of December onwards, satellite coverage for the high-speed system will be generally available across Lufthansa’s entire International network (with the exception of China and South Africa). Claimed to be Africa’s first low-cost airline, Fastjet commenced commercial flight operations last Thursday (29 November) with its initial aircraft flying passengers from Dar es Salaam to Mwanza (Tanzania). The Fastjet A319 left Dar es Salaam’s Julius Nyerere airport at 06:00 almost full to capacity with well over half the passengers on board paying just US$20 (excluding taxes and charges) for their seat. Santa arrived at Heathrow on 1 December marking the beginning of the Christmas season and 24 days of daily surprises for many of the 4.3m passengers travelling through the airport. Whitbread Plc has opened a brand new Premier Inn at Manchester City Centre. The 193-room property is situated in Piccadilly and is ideally located just 200 yards from Manchester Piccadilly rail and Metrolink station. It is the number 16 Premier Inn hotel in the Greater Manchester area. 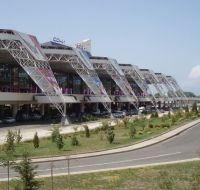 Well in advance of the 2014 Winter Olympics, Rezidor has opened the 508-room Radisson Blu Resort & Congress Centre, Sochi. Enjoying a prime waterfront Black Sea location the stunning property is all set to become a major landmark. When stopped by a policeman and asked "Do You know you were speeding?" the 83-year-old woman dealt with it the only way she knew. "Yes , but .... but I had to get there before I forgot where I was going." He put his ticket book away and bid her good day. Trading under the Chapter 11 rules, American Airlines (AA) has asked a US bankruptcy court to extend the period during which it has the exclusive right to file a plan for emerging from bankruptcy reorganisation. AA is a partner of British Airways and member of oneworld. Air Canada is to embark on a major expansion of its international services next summer. 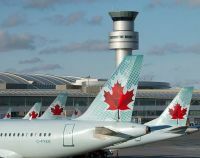 The carrier is launching a new non-stop route between Toronto and Seoul, starting a service to Istanbul, adding seven weekly departures to Beijing from Toronto and Vancouver, and upgrading its Calgary – Tokyo Narita route to provide a daily service. Airport upgrades seem to be all the rage at the present time in spite of the gloomy economic outlook. Heathrow T2 is well under way and Gatwick has been busy. 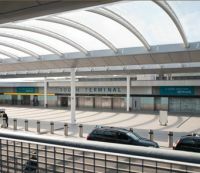 The Manchester Airports Group subsidiary, East Midlands Airport, has unveiled plans for a £12m terminal regeneration project that will improve the passenger experience and make it, they say, as simple, intuitive and efficient as possible. 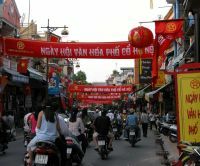 Hanoi, capital of Vietnam, is the latest destination for oneworld carrier Finnair as it develops Helsinki as a hub for European traffic and the Far East. Finnair will become the only European airline to offer a direct flight from Europe to what is the second largest city in the country, and with a population of 6m+ and now not far short of Ho Chi Min (formerly Saigon) the economic centre. Gatwick’s Hilton, which adjoins the South Terminal (the main terminal), is undergoing a refurbishment programme, in parallel with that of the terminal itself. 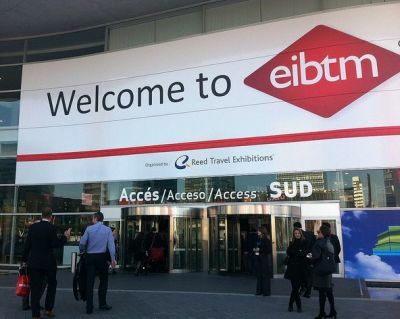 The revised road access is now complete and brings the entrance to this building up to the high standard of the North Terminal. The only thing now missing is decent signage. There is no way of knowing where the hotel is if you are in the terminal landside area. The eagerly awaited Heathrow inaugural of Qatar Airways Boeing 787 long haul operations is expected to take place on Thursday 13 December with the airline bringing in its first Dreamliner from Doha. 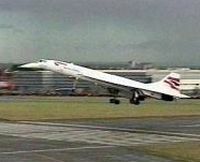 Arrival is expected around 11:00 with the plane positioning to Terminal 4. Hard on the heals of Sky Alliance's dalliance with Xiamen Airlines (see BTN 26 November), Shenzhen Airlines, based at the airport of the same name, has officially become part of Star Alliance. 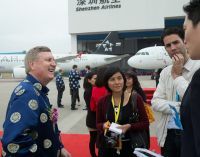 Sister company Air China is already a member.